A sustainable shopping mall has been inaugurated in Arnstadt, Thuringia, an area of 50,000 square meters former an industrial wasteland. With a car wash 40 meters long, two grocery stores, an electronics retailer and 400 parking spaces, a total of 5,000 square meters of cutting-edge retail space has been created. 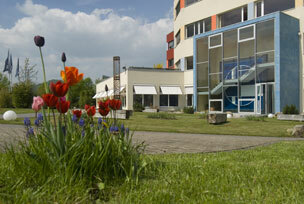 Good for the environment: more than 70 per cent of the demolished materials were recycled and reused. The project is also characterized by energy-efficient solutions such as a reversible air-heating pump in the electronics store. 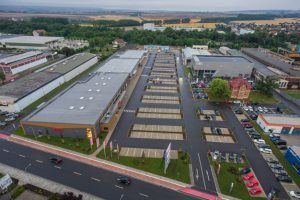 The retail park was awarded a gold certificate from the German Sustainable Building Council (DGNB) for its particularly sustainable construction. “The i49 retail park on Ichtershäuser Straße is our contribution to the sustainable development of Arnstadt, the Ilm district and Thuringia. A successful project with support from Vollack,” said Felix Richard Stabernack, managing director at Investor MCF Stabernack, in summary. “Our objective was also to create a harmony between processes, architecture and technology, and support the tenants’ businesses,” explained Manfred Bähr, member of the advisory board and shareholder of the Vollack Group.